This review first appeared in the August 2009 issue of hi-end hifi magazine High Fidelity of Poland. We publish its English translation in a mutual syndication arrangement with publisher Wojciech Pacula. As is customary for our own reviews, the writer's signature at review's end shows an e-mail address should you have questions or wish to send feedback. All images contained in this review are the property of High Fidelity. - Ed. 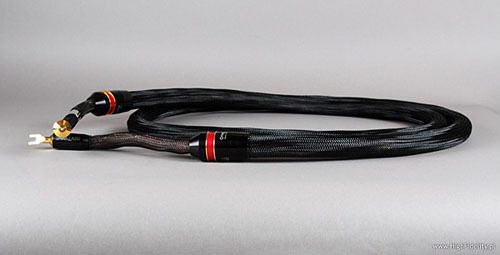 Tara Labs is an American audio specialist dealing in cables. Because we review their products from time to time and because I use some myself, this firm is not unknown to our readers. The Omega Onyx name did appear already in our report of the Krakow Sonic Society meeting last month. 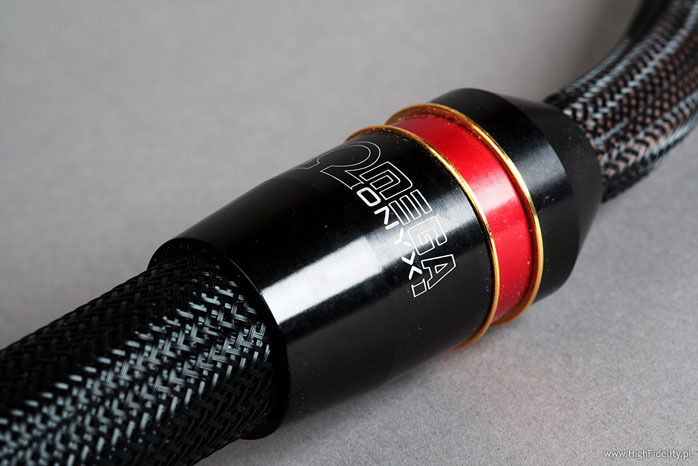 A previous version of this cable dubbed simply Omega shows up throughout our reviews here and there. It is the basis of Janusz’s system, one of my friends from the KSS. The Tara Labs Zero belonging to their highest series (Stereophile called it Extreme Series) was until recently the sole occupant in this stratospheric group. However, market demands had Tara Labs further differentiate their offerings also at the top level and now they make four models within this series: Cobalt, Gold, Onyx and Edge (in sequence starting with the best). Matthew Bond, their engineer responsible for the design assisted by factory manager Matthew Sellars, claims that the higher the model, the better its articulation while the general sonic character remains the same. 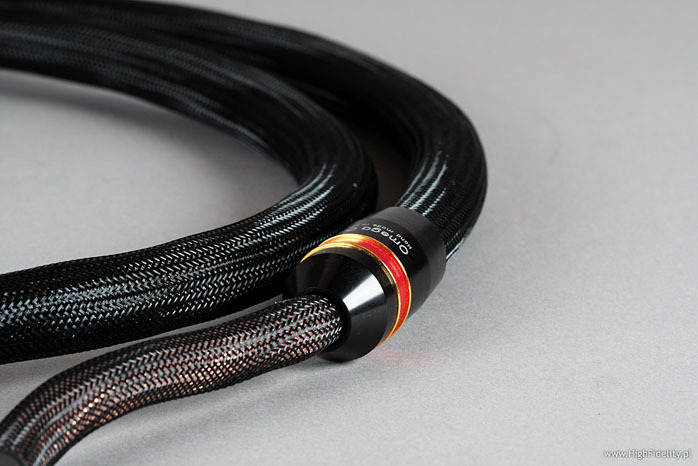 This time we review the Omega Onyx, a cable equivalent to the older Omega but with more conductors and improved dielectric. Discs used during the test: Bill Evans & Jim Hall, Intermodulation, Verve/Universal Music Japan, UCCV-9342, CD; Carol Sloan, Hush-A-Bye, Sinatra Society of Japan, XQAM-1031, CD; Danielsson/Dell/Landgren, Salzau Music On The Water, ACT Music + Vision, ACT 9445-2, CD; Depeche Mode, Sounds Of The Universe, Mute/EMI Music Japan, TOCP-66878, CD+DVD; Depeche Mode, Wrong, Mute, CDBONG40, SP; Dire Straits, On Every Street, Vertigo/Universal Music Japan, UICY-93734, SHM-CD; Eva Cassidy, Imagine, Blix Street, G2-10075, CD; Genesis, …Calling All Stations…, Virgin Charisma/EMI Music Japan, TOGP-15019, SACD/CD+DVD-A; Gerry Mulligan & others, Jazz Giants ’58, Verve/Universal Music Japan, POCJ-2732, CD; J. S. Bach, “Brandenburg Concertos”, Academy of Ancient Music, Harmonia Mundi, HMU 807461.62, 2 x SACD/CD; Julie London, Julie Is Her Name. Vol. 1, Liberty/EMI Music Japan, TOCJ-90014, HQCD; Keith Jarrett, The Köln Concert, ECM/Universal Music Japan, UCCE-9011, gold CD; King Crimson, In The Court Of The Crimson King, Universal Music Japan, UICE-9051, HDCD; Perry Como, Perry Como In Italy, BMG/Sinatra Society of Japan, XQAM-1015, CD; Piotr Anderszewski, Piotr Anderszewski At Carnegie Hall, Virgin Classic, 267291, 2 x CD; The Andrew Sisters, Greatest Hits, Going For A Song, GFS285, CD; The Doors, L. A. Woman, Elektra/Warner Music Japan, WPCR-12721, CD; The Red Michell & Harold Land Quintet, Hear Ye!!! !Hear Ye!!! !, Atlantic/Warner Music Japan, WPCR-25159, CD; Thelonious Monk, Briliant Corners, Riverside/Universal Music Japan, UCCO-9220, CD; Thom Yorke, The Eraser, XL Records/Warner Music Japan, WPCB-10001, CD; Wes Montgomery, Incredible Jazz Guitar of…, Riverside/JVC, VICJ-41531, K2 CD.